PAD-PAK Paediatric Cartridge includes one set of defibrillation pads and including a battery, to be used with the HeartSine Samaritan PAD 300P or 500P AED. 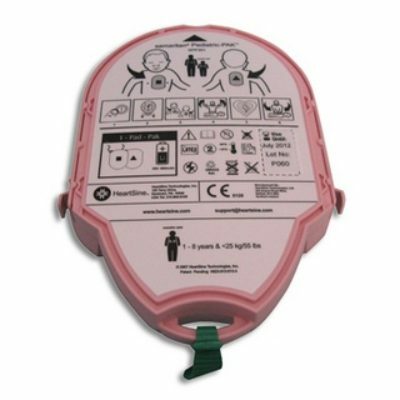 The PAD-PAK provides hassle-free maintenance, incorporating one expiration date for both the battery and the defibrillation pads. If you’re in the process of purchasing your first AED or AED replacement, it is strongly recommended that AED owners to have a spare set of electrode pads on-hand at any and all times.